Give someone a gift that will last forever! While traditional roses will wilt after a few days, this romantic bronze bouquet will last a lifetime. Handcrafted and one of a kind, this bouquet can help you create a powerfully unique experience for the special person in your life. I display it in a vase just like a regular bouquet, and am pleased to report that, unlike real flowers, my cat never tries to eat it. 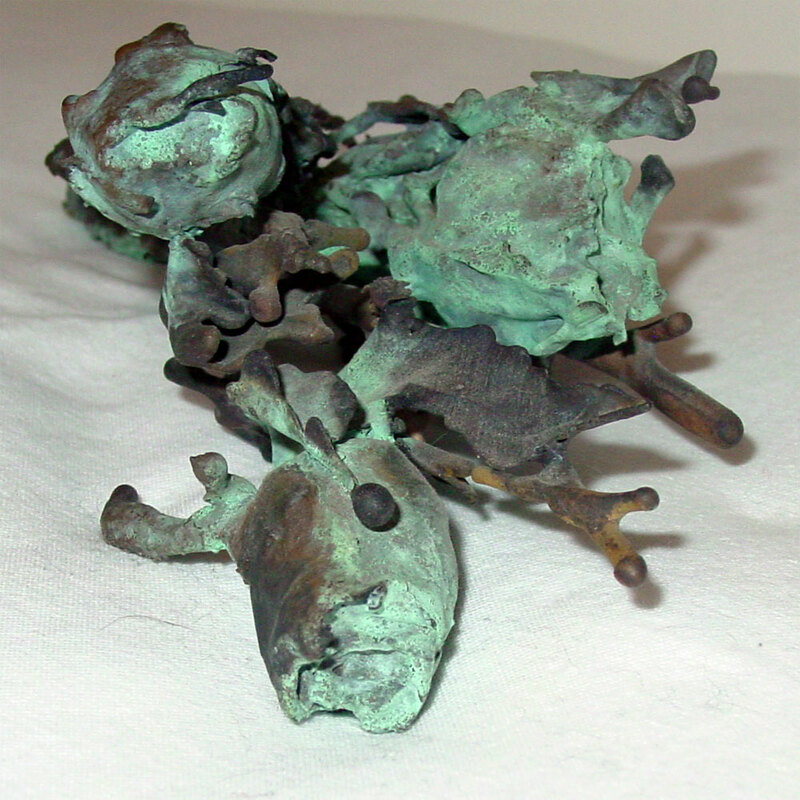 These roses were made with the lost wax casting method to create a unique art piece. Four dried roses were tied together and coated with wax, ribbon and all, and cast together to form this hauntingly lovely bouquet. They get their color from a chemical patina, another process involving water and fire that has slowly evolved over time thanks to exposure to the air and handling. 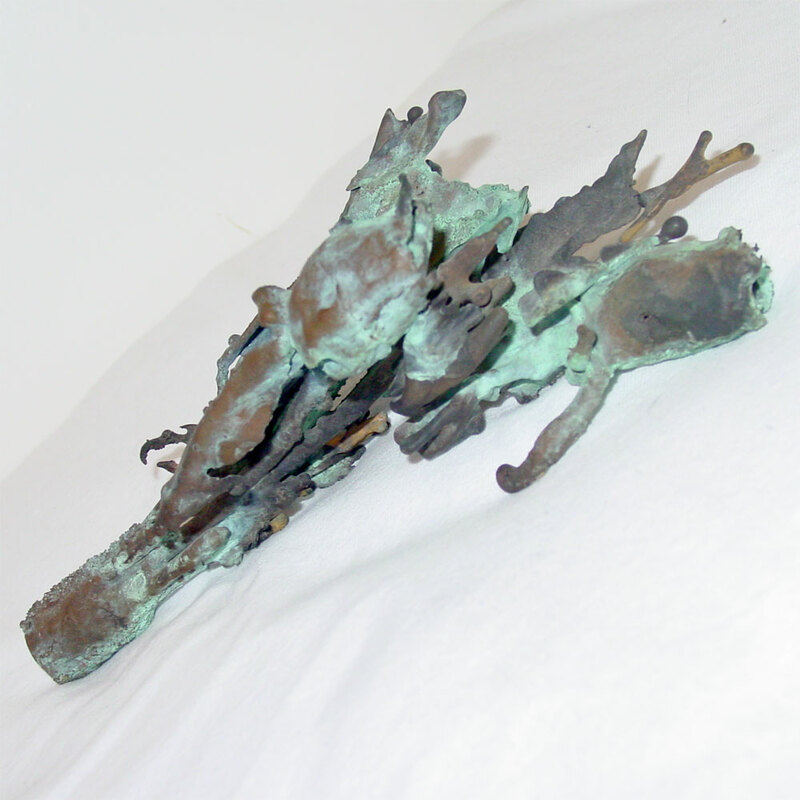 Bronze Bouquet, cast bronze, $199 with free shipping.